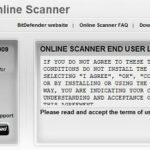 Last week we covered 5 Websites to Scan for Viruses Online. This week we continue the fight against viruses with ten pieces of completely free software that will help protect you from autorun.inf viruses. 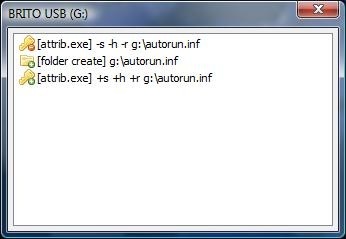 The autorun.inf file is used to automatically launch applications on CDs / DVDs / Flash drives etc. This becomes really useful when you want to display a menu that allows the user to view the contents of the CD or to start presentations and so on. However, over the last two years the autorun.inf file has been used by viruses and worms to automatically launch themselves and thus effect computers. These viruses are all from less harmful blocking of sites (like the popular Orkut virus) to wrecking total havoc on your system requiring a complete reinstall of the operating system. Since then, antivirus software have become smarter at detecting and removing these viruses and worms. 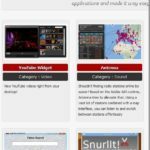 In addition to this, you have a complete dedicated set of applications that help you protect your computer from autorun.inf viruses. Without further ado, here’s a list of some of them. 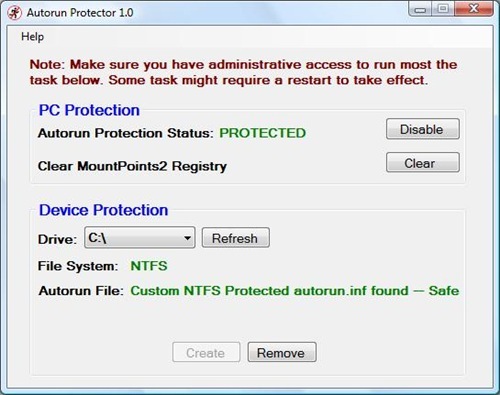 Autorun Protector is a two way protection standalone software that prevents your PC from infecting with autorun worms and also protecting your removable device from being infected from other sources. Hence, it decreases the spread of the worms. In addition, it also come with additional features like custom protected autorun.inf file, removing of autorun.inf & resolving drive opening issue. iKill prevents the spread of viruses/trojans through autorun.inf files. It works by scanning the drives for the presence of removable drives. If found, it parses the autorun.inf file for the executables it may run. If AutoProtect is enabled, it will automatically delete the files present on the drive. otherwise, you will be asked if you want the suspected files deleted. Autorun Eater was born due to increase of malwares using the â€˜autorun.infâ€™ tactic to infect users unknowingly be it from flash drives, removable hard disks or any other removable storage device. When an infected device is infected with a malware and an â€˜autorun.infâ€™ file is dropped, the shell menu is normally modified to execute the malware whenever the unsuspecting user double-clicks the infected drive. 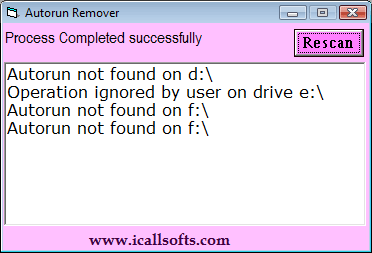 Autorun Eater will remove any suspicious â€˜autorun.infâ€™ files even before the user attempts to access the drive. This files are auto-backupâ€™ed in case of false positives. This ninja awaits quietly in the system tray for the times whenever a USB pendisk is inserted on the computer which will be examined to uncover the commonly malicious or virulent files known as “autorun.inf” and “ctfmon.exe” amongst many others. 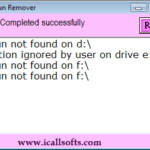 AutorunRemover checks the Autorun files on your all drives and asks you to delete them if it appears dangerous for you computer. USB FireWall blocks all virus and other wilful programs that try to spread in your system when an USB device is inserted. The application runs in background task and alerts you immediately in case of try of intrusion. You can stop the program and delete the file associated with. USB FireWall doesnâ€™t need any virus definition update. USB FireWall can too clean your hard disk partition from auto launched application. 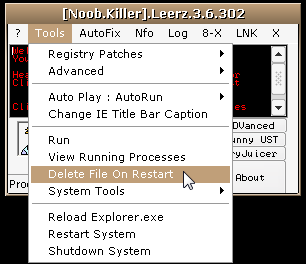 Noob Killer is a small tool designed to easily rid common worms and viruses, it has many useful tools that would help users and administrators get back control and clean their PC’s/Workstations. I personally prefer to use the method explained at WinPowerTip to protect my pen drives and also the windows system drive. I prefer turning off the Autorun.inf funtionality by following the instructions here. Autoplay still works, but AutoRUN is disabled, IIRC. Note also that the first program reviewed in this post, has one very importatn function and that is to clear the MountPoints data, so a previously inserted flash drive that may currently be infected won’t bypass any existing protection. Helpful Tools, Thanks for sharing.